You often hear about one inch per foot of board,I dont believe this is correct in all cases. No rules, just try them and find one that suits that board. For me the Area of the fins is more important than the actual size.. Overall Fin Height is just an indicator. It's like board length. 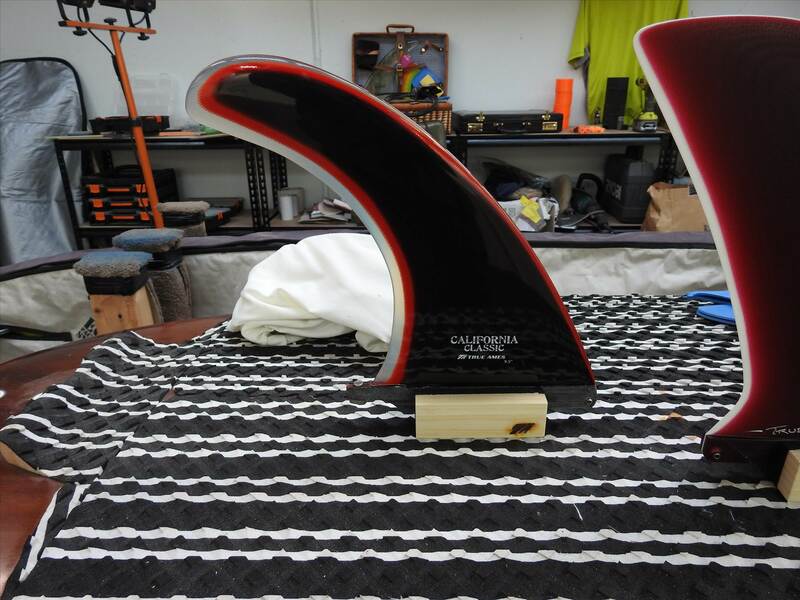 It only shows one dimension and doesn't paint the whole picture..
Eg A 9 inch fin that has a wide base is different to a 9 inch fin with a narrow base. 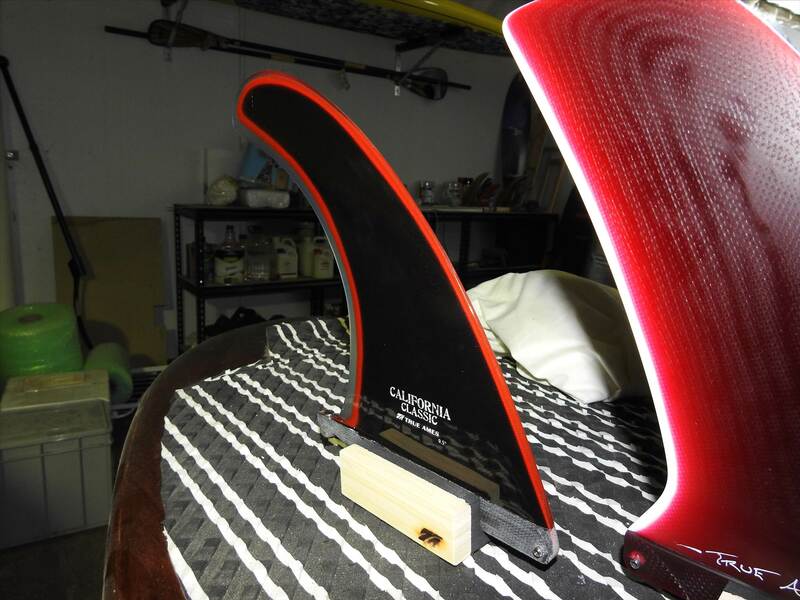 A narrow tail board is likely to need a smaller fin then a rounder outline with more tail rocker. Shorter more upright fins back on the box will be more pivoty turns. Bigger more raked fins up in the box. More rake will make them more carvey and draw your turns out. My fin rules are not to sell any single fins as everytime I do I get a new board down the track and think to myself "Why did I sell that fin, it would be perfect for this board" Only to scour GT for ages looking for a suitable fin for it!! If it works, its' the right one!!!!! Sandy that sounds great but how do we know it works,is it the board the fin both or like me the surfer. Post from Mac. about fins. Found what I was looking for about sizes for side bites. Ooohh far left looks the goods!! What is is it Nozza?? I was trying to be too artistic unpacking and photographing, so haven't got a good shot of it. Given the number of beers Mac. made me drink pre ordering, I'm not sure how I got the cool black / red / clear one, but it is a beautiful fin. "Nine sizes make up this collection for a wide range of choices. These are the larger sizes from 8.5" to 10"... Perfect single fin setup. The medium build and rake make this design the foundation to begin to expand your quiver. All boards and designs accepted. A great all-around fin." Can be easy to overthink things, what board are we talking about a fin for Mac? Couldn't agree more with McHenry,haha SP that's what I do. Bang on dude... My Lizzy is very much like the Flat Tracker, likes a small fin as it narrow and really refined through the tail. It's 7'7 but when i tried the 8' Christensen fin it would catch on the bottom turn, dropped back to 7.5' and its buttery smooth. 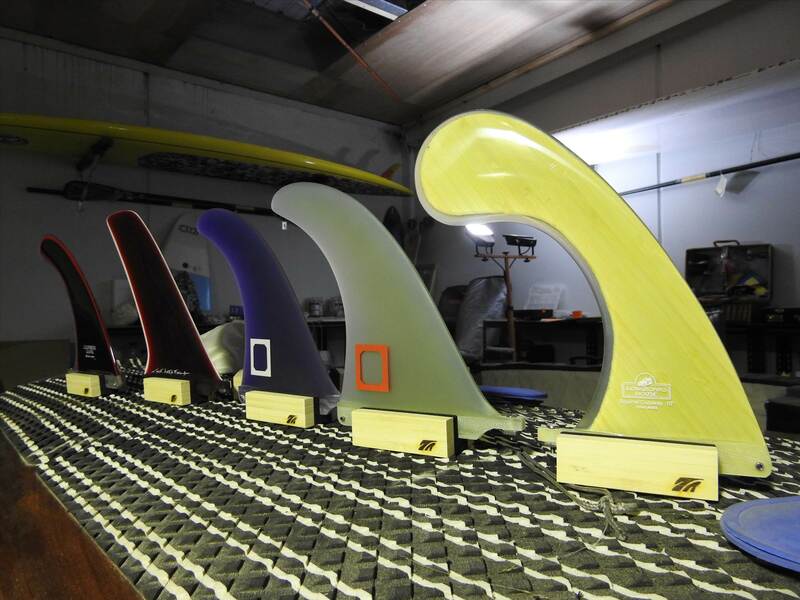 What fins are you using in the Lizzy? Just a single? I thought you were getting sent some bonzer sides and centre fin for a 2+1? All of the above Mac. I have stuck with my tried and true. Basically never change. It's not a contest, I don't think. Just sharing things we like. Went better with the 4A or the fin you normally use ? The fin I normally use. I had a self intervention it was getting out of hand.. Haven't bought a fin in over a year.